Buy Mack Brush Series 444 "The Virus" here. 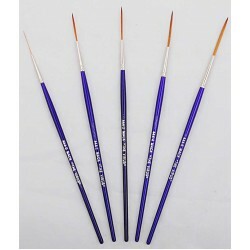 The Virus Series 444 script brush is a specially blended golden taklon. This recommended design by the industry leaders is perfect for script and scroll work. One of the sign industries most exciting and innovative new brushes affectionately called "The Virus", listed below!